​mospatusa.com/news_180627_1.html The scaffold is up waiting for us to install the Pantocrator and Evangelists currently being created in the studio. 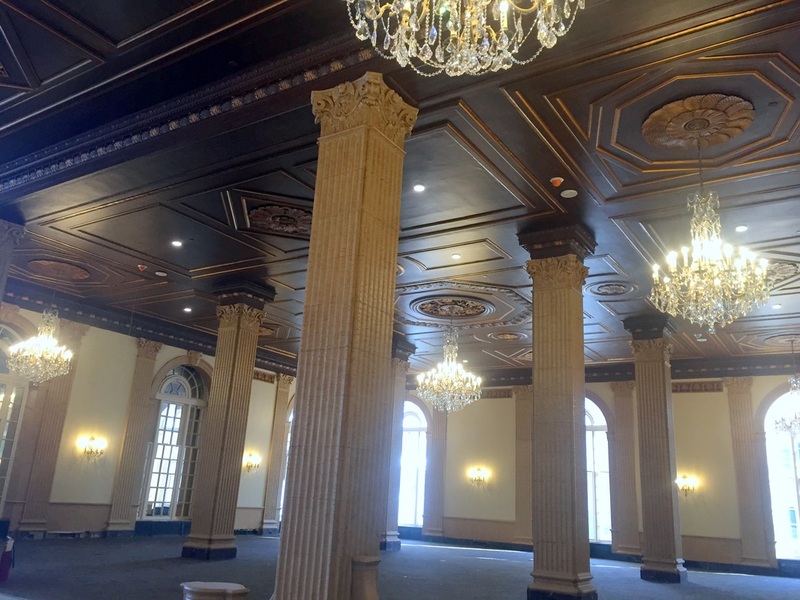 Riley is particularly proud of the restoration of the entire color scheme in the Persian Terrace and Grand Ballroom, conducted by New Jersey’s John Tiedemann Inc. (JTI), which was also responsible for restoring the extensive historic ornamental plaster and flat plaster, and for consolidating a delaminated section of plaster-on-metal lath ceiling. After removing the white overpaint, JTI artist and artisan Katerina Spilio created exposure windows to reveal the colors and styles of the original decorative painting throughout the huge rooms. She then developed a color palette and techniques involving 15 different finishes to match the original decorative schemes, including faux marble, faux wood, decorative glazes, faux stone and stencils. 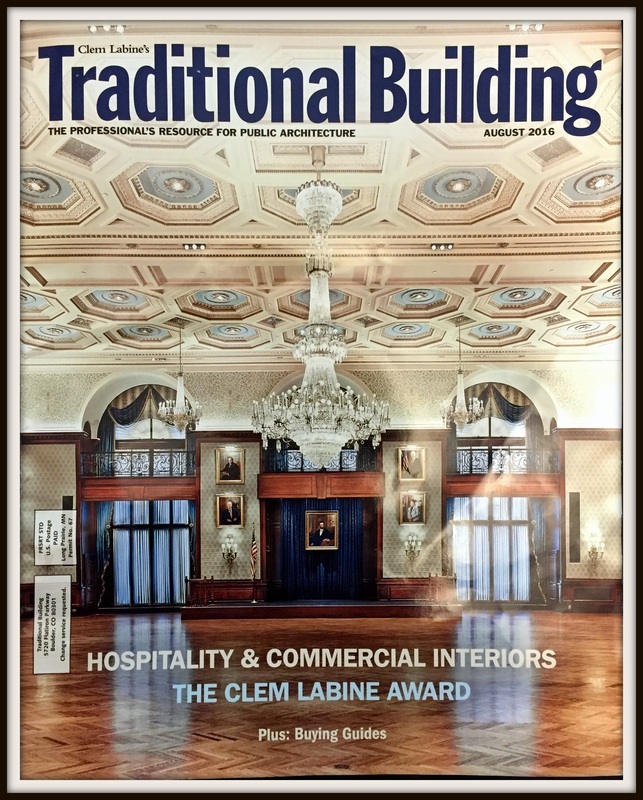 “It was very important for us to get back to the original colors and designs,” Riley says, making special mention of faux plaster painting on the Persian Terrace ceiling that uncannily resembles wood." BAS Decorative & Conservation Arts is a second-generation Art Restoration and Renovation company. Established in 1963, BAS began as a church interiors company in New York City’s Hell’s Kitchen, founded by Katerina Spilio’s father after he emigrated from Greece. Over the years, the scope of the studio has expanded to include more than Byzantine iconography and religious institutions. Today’s BAS has 5 decades of experience in restoration, conservation of historic murals and fine art, decorative painting and plasterwork as well as custom decorative finishes. We work closely with architects and designers, private owners and developers to build a personal relationship that ensures their project is unique and exceptional.